Shrinky Dinks: remember them? 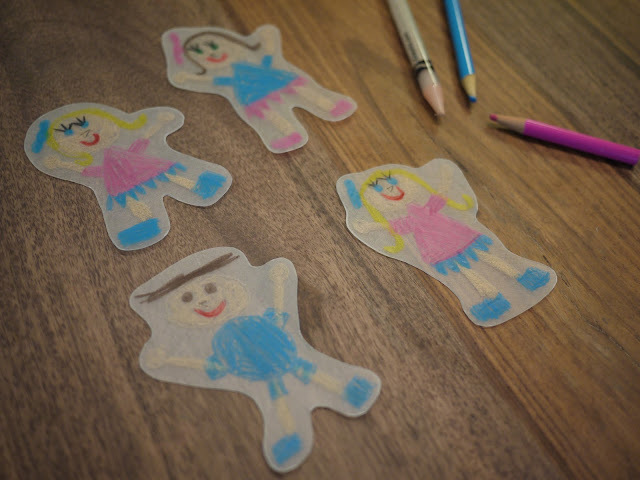 I loved making Shrinky Dinks as a kids but had kind of forgotten that they existed. That was until I found them on sale a little while back on The Mini Social. 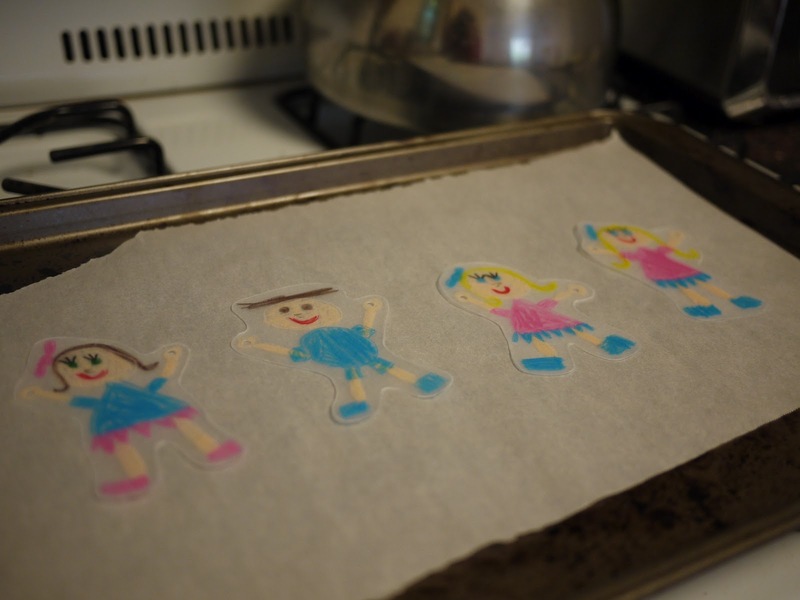 I grabbed a bunch of the blank Shrinky Dink paper and put them aside as a Summer vacation activity for the girls. 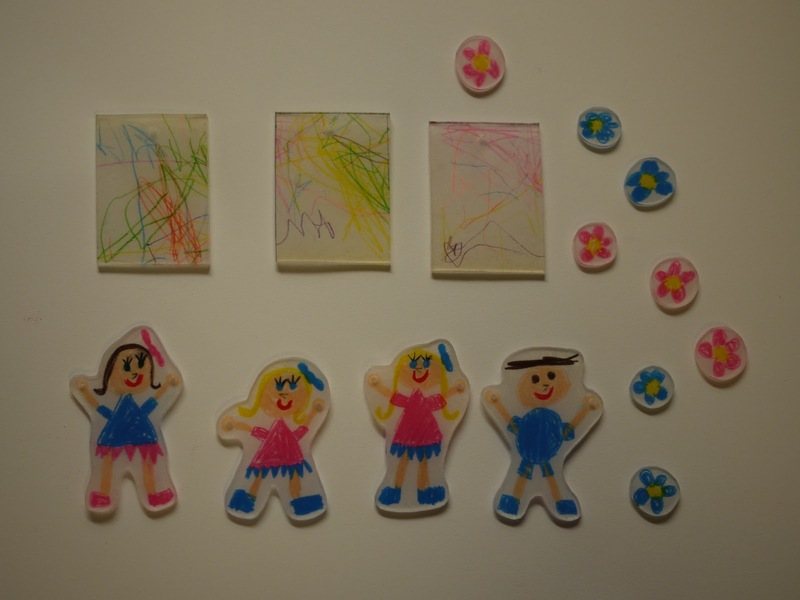 For Ava's first Shrinky Dink project she wanted to make a necklace featuring the entire family. I divided the Shrinky Dink paper into four rectangles so she made sure to stay within the allocated area for each person and then she got to drawing. Ava drew each member of our family with their arms stretched out. 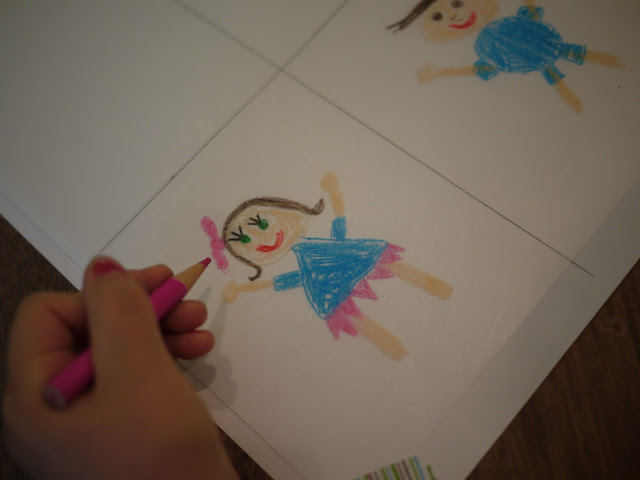 Once the drawings were complete I cut them out for her and punched holes in the middle of each hand. We'll be stringing the necklace together to look like we're all holding hands. As always, Lola wanted to copy what her big sister was doing so she made her own Shrinky Dinks as well. 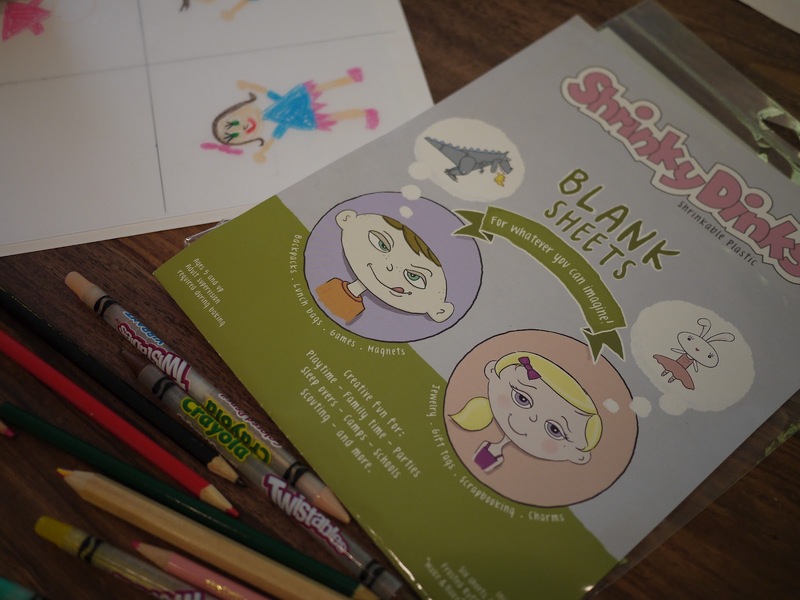 I gave Lola a small piece of the Shrinky Dink Paper and taped it to the middle of a blank sheet of paper. 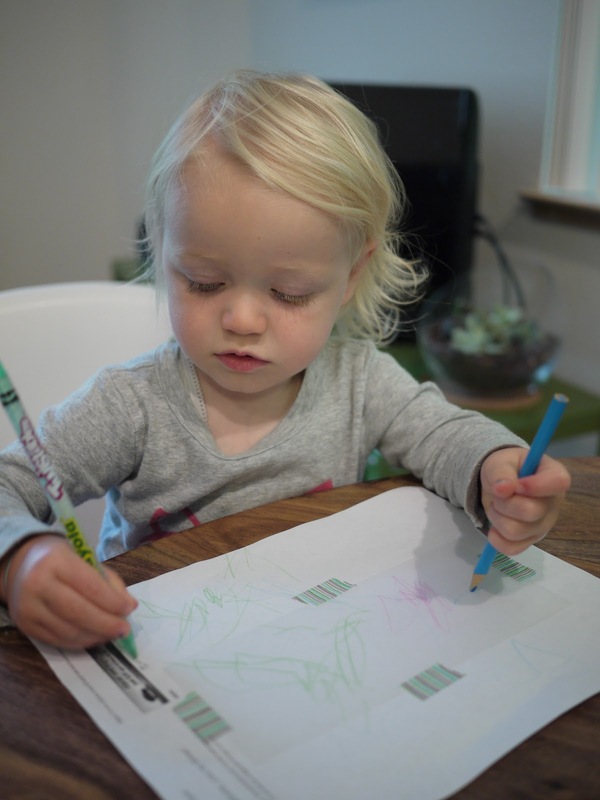 This prevented Lola scribbling on the table quite as much as she would have done were the paper not there. 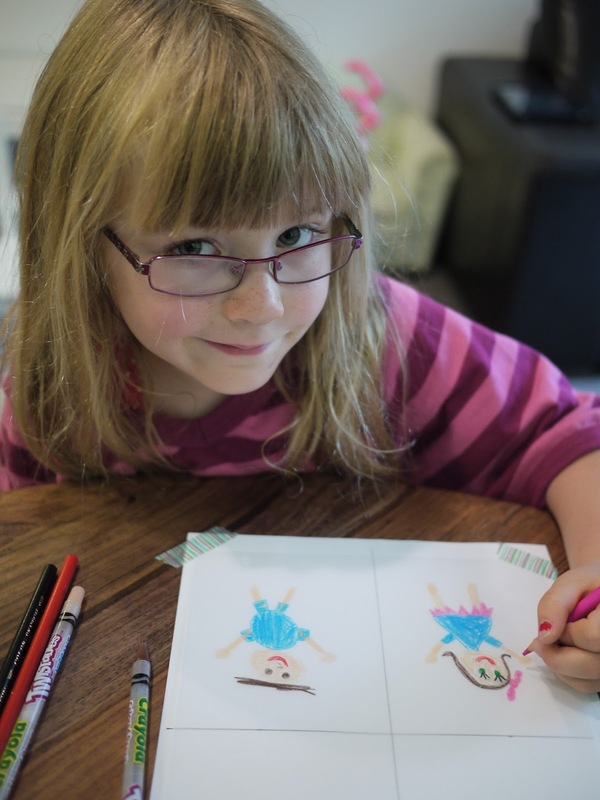 Lola scribbled with pencil on her piece of Shrinky Dink Paper. 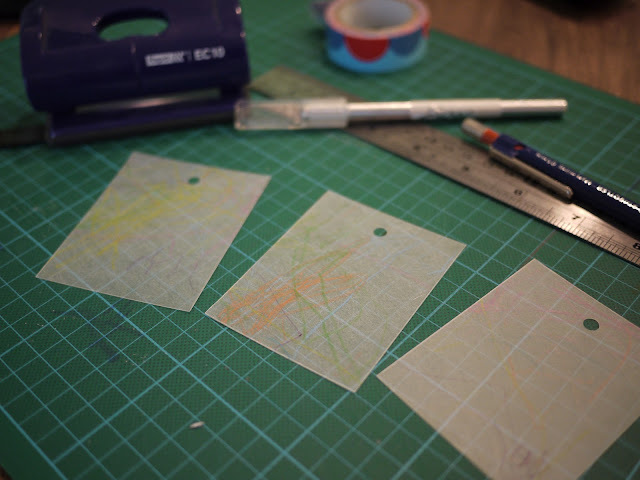 I cut Lola's colourful scribble into three rectangles and punched a hole at the top of each to make pendants. Once our Shrinky Dinks were cut out with holes punched, it was time to bake them in the oven. 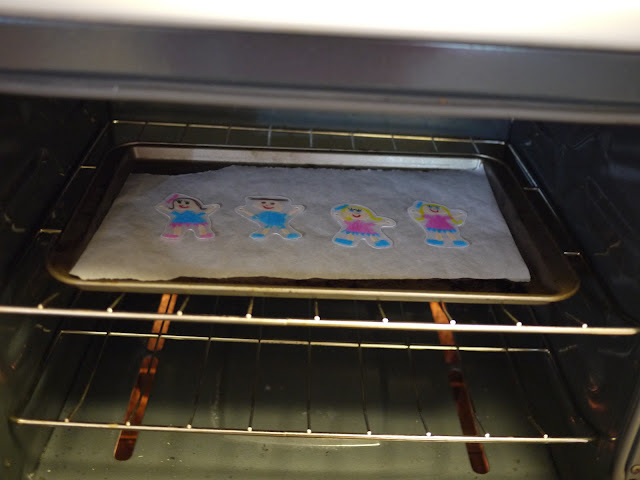 We baked them at 325F for a few minutes until they had shrunk and were laying flat. Checking on our Shrinky Dinks was a little tricky as our oven does not have a glass door. 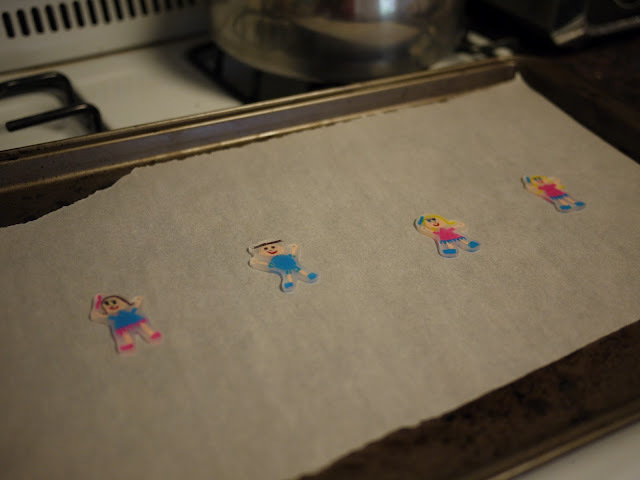 I remember watching Shrinky Dinks curling and shrinking in the oven as a kid. For me this was one of the best parts of the whole process. Unfortunately Ava couldn't watch her creations shrinking and I just had to take a gamble on the time. We somehow managed to get the timing just right. I'm pretty happy with how our Shrinky Dinks came out. The colour becomes more vibrant once baked which worked especially well with Lola's pendants. 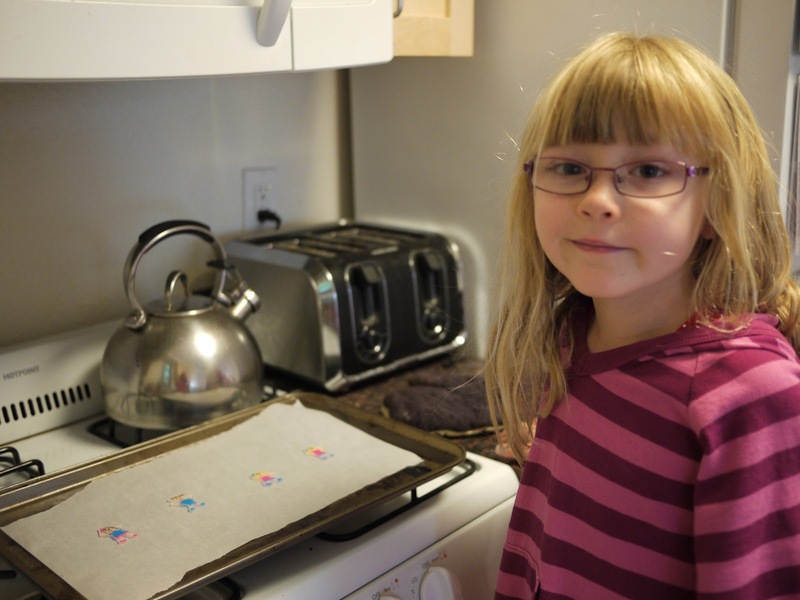 Her colouring was a little light on but once baked it was nice and bright. Next up we'll be turning our Shrinky Dinks into jewellery. Stay tuned!